Dramatic coastal scenery, sweeping skies and the ever-changing qualities of light on water are the predominant themes of Adele Cosgrove-Bray’s watercolour and oil paintings. Her atmospheric work explores the Wirral coastline, from the deceptively tranquil River Dee to the restless turbulence of the River Mersey. Always there are huge, unfettered skies and broad horizons. When in her twenties, she studied fine art painting in Liverpool, then went on to use her art skills in a therapeutic setting for elderly people living with various types of dementia. The videos below show samples of Adele's art. Please leave your comments below and subscribe to her YouTube site. 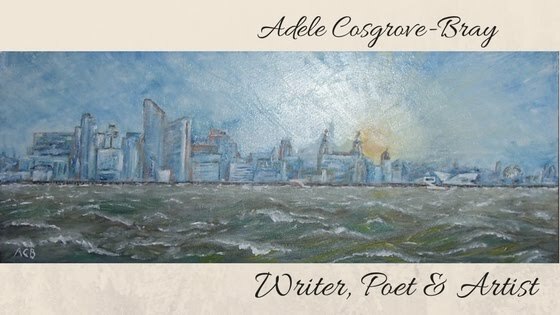 Click here to buy quality prints of Adele's art.